Staging Connections of Australia recently put out a piece that caught our eye…it’s a nice starter piece that does a great job of explaining 4 staples of Event Lighting Design in a very approachable and easy to digest way- for event lighting companies looking for brush up to complete novices alike. The article breaks things down into four sections: Up-lighting, Gobo’s, Creating a Light Show, and Pin Lighting. 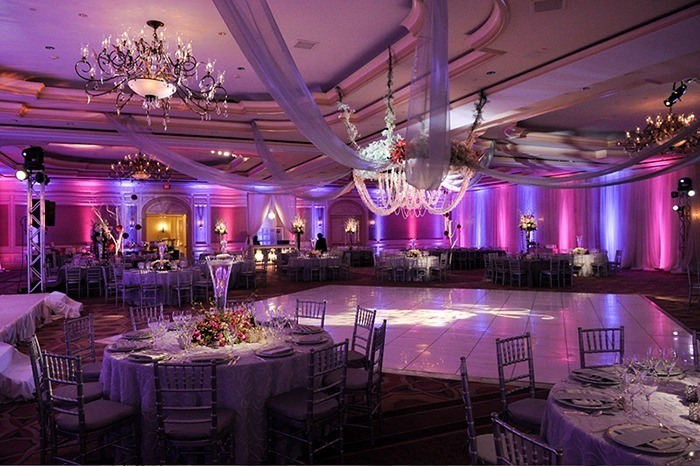 Up-lighting can help you add another dimension to your event by bringing subtle ambiance to the perimeter of your room- something that typically gets overlooked. Meanwhile, far less subtle are gobo’s, which are a quick and easy way to brand your event either with your company logo or a specific image tying into the theme of your event- call that the marketing end of the art form. The images they throw can be projected almost anywhere, which gives you many different options. Creating a light show can be awesome way to connect with your crowd and create excitement- it’s a great way to grab your guest’s attention. Obviously, not every event you plan calls for something as grand as a light show, but it’s a great suggestion for when it makes sense. If you DO want to add a show though, the article smartly points out that you can often add this element without having to add extra lights since most of the lights used for light shows will likely already be in place already as part of your bigger event design. Lastly, the article goes over the art of highlighting design by using pin or spot lighting. This is crowd control for the eyes as a well-placed pin spot will send your guests toward a particular section of your event. They add an element of drama to your event and make sure to make your specific sections stand out just the way you want them to. Take a look at the article for yourself and see if you agree what a great intro to event lighting design it makes! Have an upcoming event that can use the help of one of the most experience event lighting companies in the country? Click here to set up a no obligation consultation today!